Ulster boost their hopes of a place in the Pro12 play-offs as they end the six-match winning run of leaders Connacht in a bruising Kingspan Stadium contest. 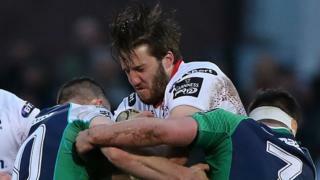 Under-strength Connacht, despite being down to 13 men late on, battled bravely to deny Ulster a bonus point. Two Paddy Jackson kicks and a Rory Best try helped Ulster lead 11-3 at half-time with Shane O'Leary replying. Jared Payne's off-load set up Craig Gilroy's 44th-minute score with Caolin Blade replying with a Connacht try. 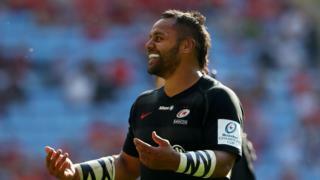 Ulster's win at Kingspan Stadium moves them up to fourth in the table although that could be short-lived with both Munster and sixth-placed Glasgow in action on Saturday.